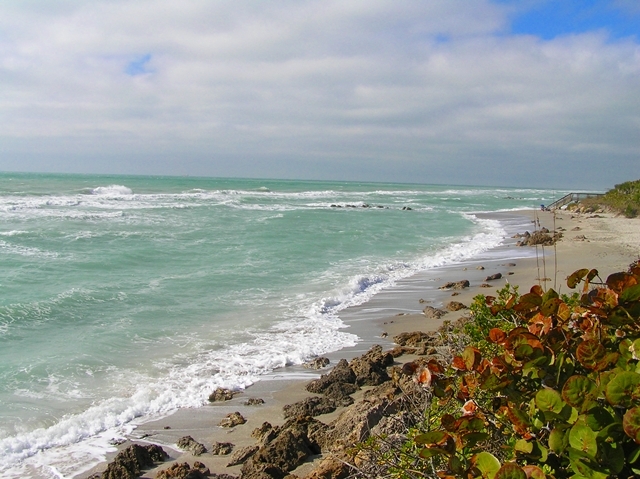 I love Caspersen Beach. This beach is a beautiful and long sandy beach that has been left almost untouched in its natural state. 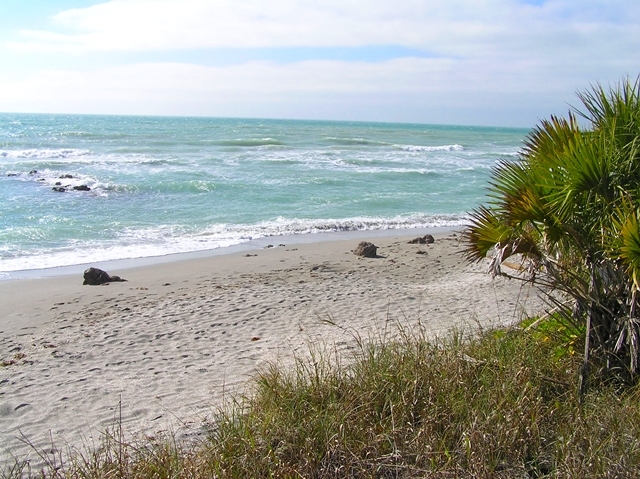 With about 4 miles the longest beach in Sarasota County, it is the perfect place to enjoy unspoiled beauty far away from the crowds and a great spot to find the famous fossil shark teeth. 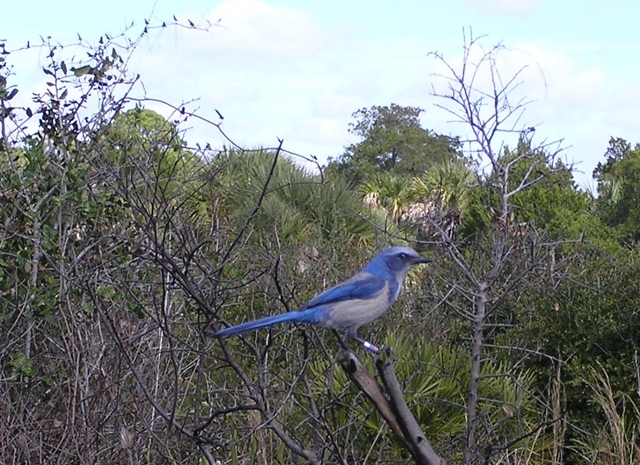 There is a beautiful short nature trail through a coastal hammock from where you have a fantastic view. The unique look with the large rocks always reminds me a bit of the California coastline. Every time I visit this beach, I add some new photos to my “beach folder”. 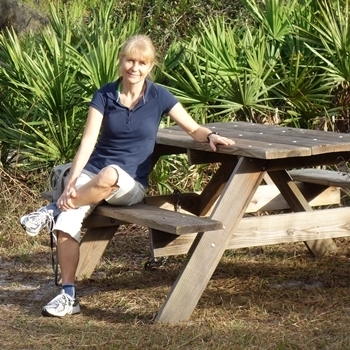 Shamrock Park, only minutes away from our Villa Happy Gator, is my favorite place for walking and running – and for meeting all kind of animals. I love animals and get never tired of capturing them on pictures. 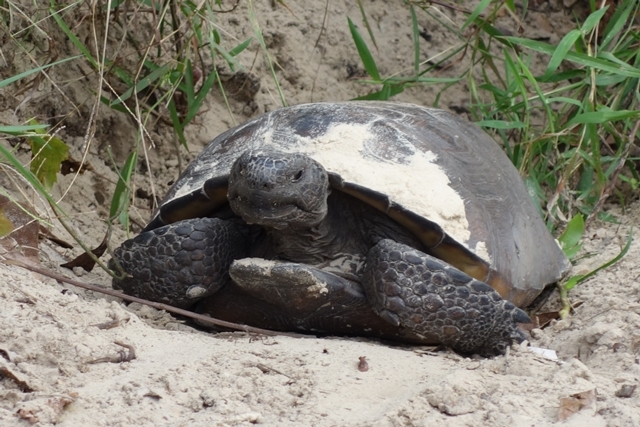 My special friends are tortoises and scrub jays – although the latter are a real challenge to focus. 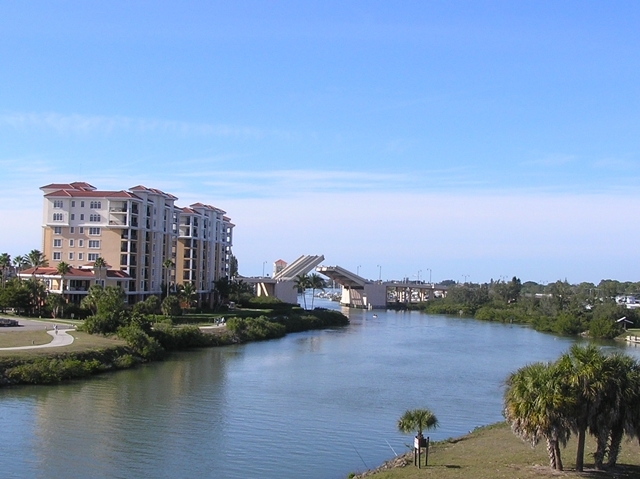 Biking along the Venetian Waterway Park at the Intracoastal Waterway is a must when I am in Venice. Away from the traffic, this trail provides exercise and relaxation alike. You pass the 2 Venice draw bridges – the Circus Bridge and the Venice Ave Bridge. I always admire those impressive monuments, that replaced the old small bridges in the 1980s. After crossing under Circus Bridge and just before reaching the Old Venice Train Depot, you have a great view of the Venice Ave Bridge. 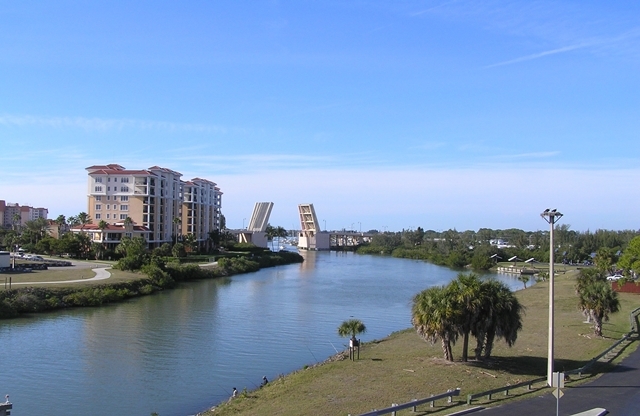 When a high boat is coming, the drawbridge is raised – and my camera is ready!